The busy holiday season has come to a close, and you may be feeling a bit of a post-holiday letdown as life gets back to normal again. Maybe you’re tired from catching up on work, or you’re juggling the kids’ active schedules with your own. Or, maybe you just want to get out of the kitchen, relax, and rest up after the activity of the past few weeks. 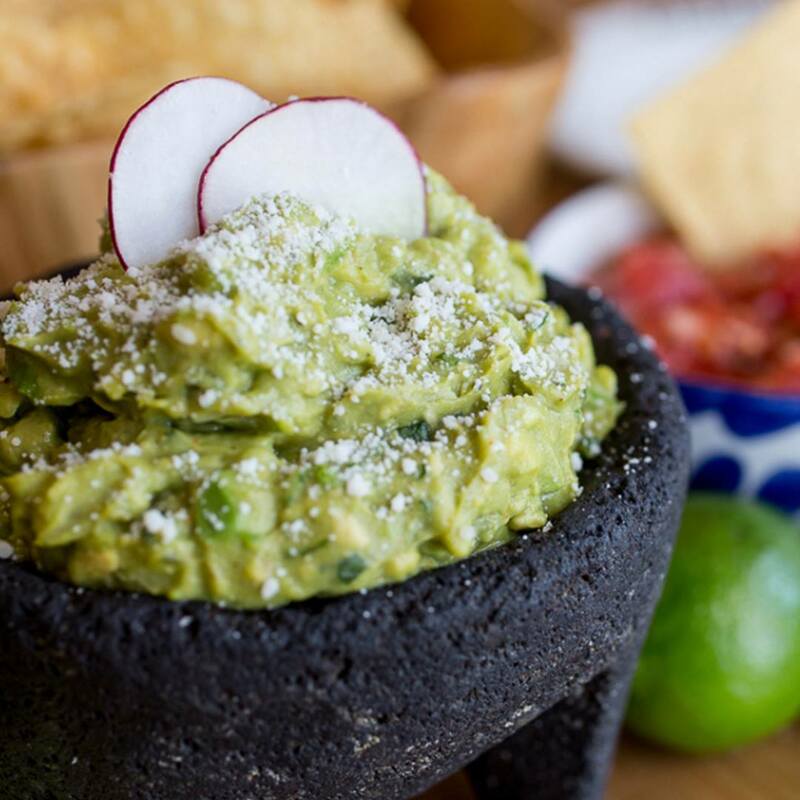 Whatever the reason, you should make Borracha Mexican Cantina your post-holiday getaway spot. 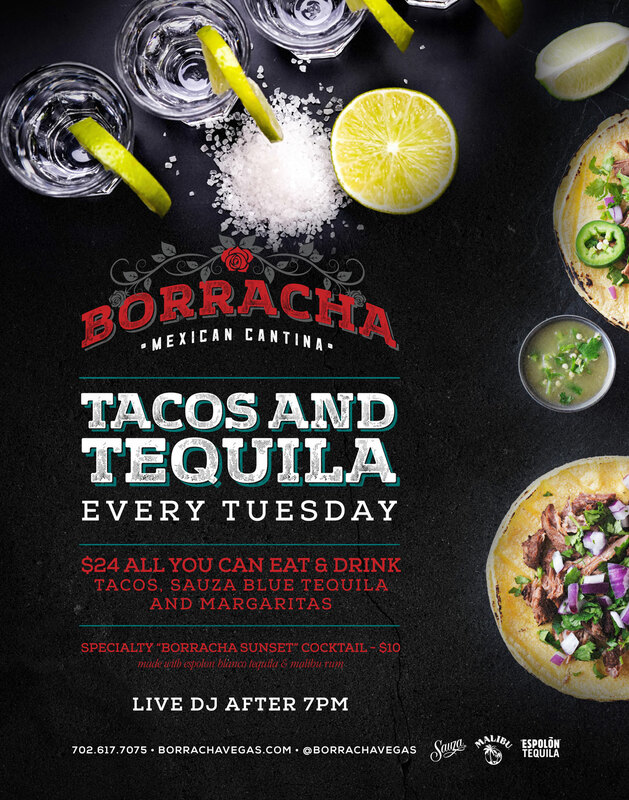 With amazing food, great savings, and a welcoming atmosphere, there’s plenty to love about Borracha. On Monday through Friday from 4 to 6 pm, stop by during our Happy Hour for deals that you just can’t beat. All of the food and drink items on our Happy Hour menuare just $7. Kick your meal off with a delicious Cheese Quesadilla, Chicken Nachos, or a Roasted Summer Corn Salad. Then, try an order of our Beef Empanadas, Street Tacos, Crunchy Chicken Tostadas, or Chipotle Buffalo Wings. Like all of our dishes, these plates are packed with true Mexican flavor. 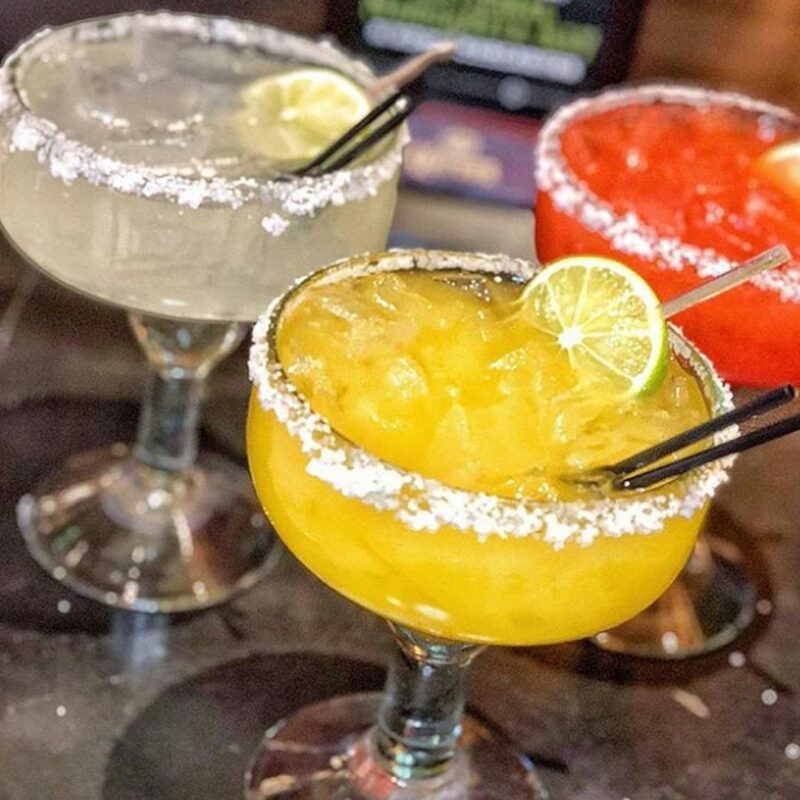 All of that flavor requires a refreshing drink, so we offer our house margarita, draft beers, well cocktails, and house wines for just $7 during our Happy Hour. An early dinner with plenty of choices, all at amazing savings? It’s no wonder that our Happy Hour is so popular. Your Mexican meal just isn’t complete without a quality tequila. That’s why we’re running a great special on Don Julio tequilasthrough January and February. 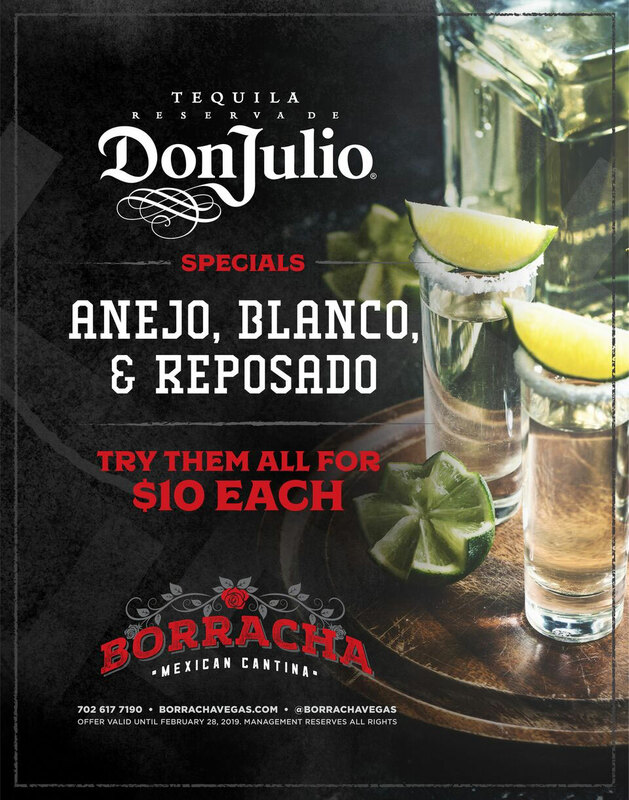 Try Anejo,Blanco, and Reposadoall for just $10 each. You’ve survived Monday, and deserve a pick-me-up on Tuesday. 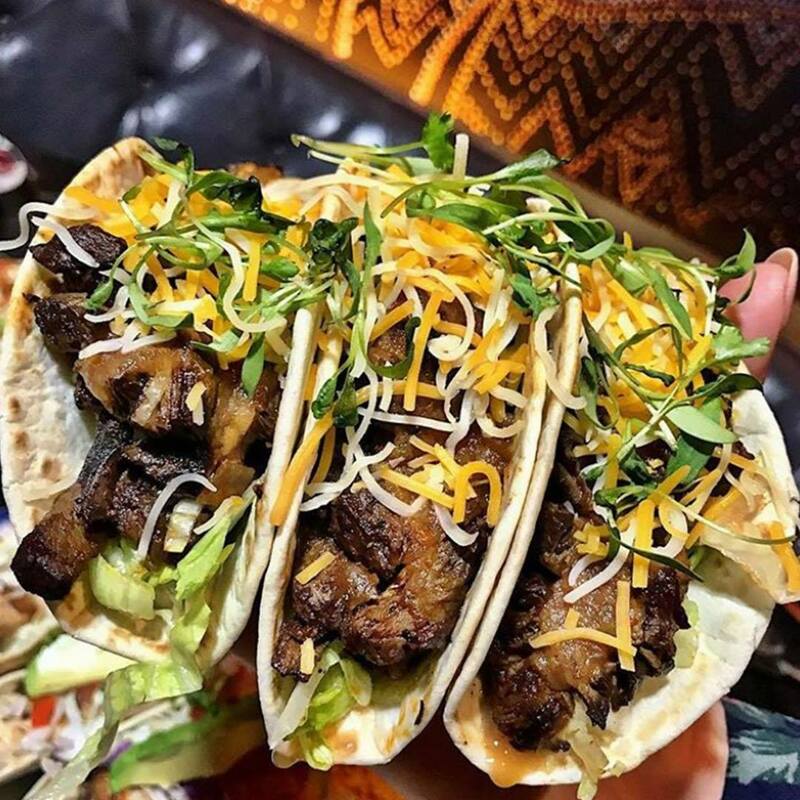 Our Tacos and Tequila Tuesdaysare sure to deliver. For just $24, you’ll enjoy all-you-can-eat-and-drink tacos, Sauza Blue Tequila, and margaritas! Plus, our specialty Borracha Sunset cocktail is just $10. It’s the perfect way to enjoy a delicious, filling dinner with friends or family at an amazing price. Don’t just eat your meal and hurry out, though. Stay a while and enjoy a live DJ after 7 pm. 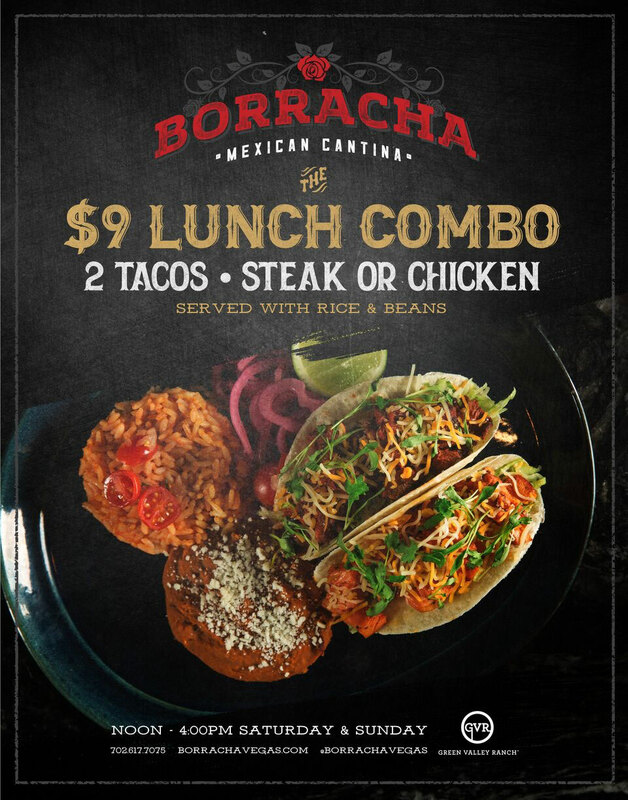 There aren’t many places where you can get a weekend lunch for just $9, and at Borracha, our special lunch combois a deal that can’t be beaten. Enjoy two of our delicious steak or chicken tacos, served with rice and beans for just $9. We offer this special from noon to 4:00 pm on Saturdays and Sundays, making it the ideal lunch when you’re out running errands, enjoying a day with your family, or just need a special yet affordable outing with friends. If you’re looking for a space for a larger group, Borracha can accommodate that, too. Our intimate lounge can accommodate groups of all sizes, and we also offer full venue buyouts for groups of up to 180 people. Our group dining menusare not only chock-full of options, but they’re also designed to give you some pricing control, so you can be sure that the event stays within your budget. We have plenty of options available at all price points, so it’s easy to select your menu. Plus, with a variety of bar packages, you can choose the option that’s just right for your group. Think of us for that bachelor or bachelorette party, that extra-special birthday or anniversary, or even your next office outing or celebration. Even if you don’t visit during a special event, our standard menu is packed full of amazing dishes that are sure to satisfy your entire party. Try our Appetizer Sampler, which comes with taquitos, tostadas, empanadas, and quesadilla. Then, move on to a delicious entrée like our Garlic Shrimp, Slow Roasted Pork Carnitas, or Lobster Tacos. We know how to put a great spin on traditional Mexican dishes, and there’s no going wrong with fajitas, tacos, or burritos here. Our Flaming Tequila Fajitas are a big favorite, and we offer both traditional and street tacos so you can take your pick. Of course, we also have Brown Rice Bowls and plenty of vegan options, too. Need an easy meal that you don’t have to cook for your family, or want to enjoy a flavorful entrée? Make Borracha your post-holiday getaway spot. With our many menu options and delicious drinks, we’re the perfect location for a night out, a date night, or a simple way to get your family fed after school or a game.